Restavek Freedom has one simple mission. To end child slavery in Haiti in our lifetime. Tomorrow morning in Haiti, a child will wake up to cook food she will never eat and wash clothes she will never wear. She will fetch food from the market and water from the well, all for a family that isn’t hers, that will probably never treat her as one of their own. Her name is Nadine, age 9. Or it’s Fernande, age 7, or Doudane, age 14. She is, like more than 300,000 other children in Haiti, a restavek. 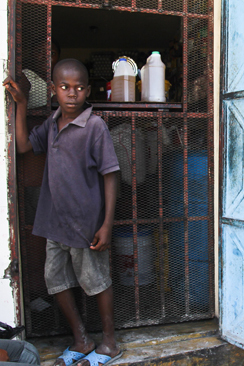 Restavek is a form of modern-day slavery that persists in Haiti, affecting one in every 15 children. Typically born into poor rural families, restavek children are often given to relatives or strangers. In their new homes, they become domestic slaves, performing menial tasks for no pay. In the Creole language, “restavek“ means “to stay with.” Yet for the children who are called restavek, that definition is incomplete. To stay with… humiliation and abuse. To stay with… alone, in a family that offers no love. To stay with… an incessant and knawing hunger. To stay with… the feeling that no matter what, their voices, their lives, will never count. The reasons that the restavek practice persists in Haiti are complex - ranging from harsh economic conditions to the cultural attitudes toward children. But every morning another child wakes up to begin his or her life of hardship, it becomes all the more urgent that this practice be stopped. Before the violence and the abuse, before the long mornings of work and the long nights of unrest, before their humanity is stripped away one day at a time, a restavek typically begins life in a loving home. Here is how a child becomes a restavek: The child is born to parents in a rural community. Like 80 percent of Haitians, they are impovrished. 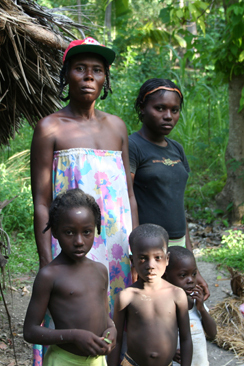 Because Haiti has one of the highest birth rates in the region, the child enters a family with too many mouths to feed. Because the country's few schools are primarily in urban centers, the child has no hope of ever gaining an education. They are destined, it seems, to continue the cycle of poverty. Yet parents believe there is a solution. By sending their son or daughter to live with a family in the city, they will free themselves from the economic burden of keeping their child fed and clothed. One fewer mouth to feed; a little more food to go around. By sending the child to the city, they tell themselves, they will give him or her the opportunity to go to school. They imagine their child as a shop-owner, or maybe even a doctor. So the parents talk to a relative, or perhaps an acquaintance or even a stranger, who lives in one of Haiti's cities. Meanwhile, the city-dwelling family has their own set of problems. The woman of the house has too little time and to much responsibility. She must cook and clean and raise her children, with little help from the child's father. Haiti's infrastructural challenges make every task all the more difficult and time-consuming. Clothes are washed by hand. There is no refrigeration, so fresh groceries must be bought each day. There is no running water, so she must take daily trips to the well. So with the rural family struggling to feed their children, and the urban family desperate for more help around the house, an arrangement is made. The child will move in with the urban family, they decide. She will help with chores and attend school. Only when the child arrives, the woman of the house decides she'll be of more use in the home than at school. So the child is put straight to work and the transition is almost instantaneous. One day, she is a typical child. The next day, she's a restavek. For children in restavek, work begins at dawn. They clean bedpans, careful not to leave traces of feces or urine. They fill pails at the well, struggling under the weight of the water as they carry it home. They cook breakfast, but when the family eats, the child continues to serve. The work is exhausting and demeaning, far too much for a young body to bear. But no matter how difficult it may be, that's not what leaves so many children fearful and hopeless. The worst moments are the constant reminders that they do not belong, that they are not wanted, that they're objects to be used and discarded, work mules good only for their ability to make others' lives easier. So they cook the breakfast and slink off to a corner, watching the family eat. Sometimes, they get the scraps. Other times, they get nothing at all. Either way, they continue with their work. When the restavek is sent to live with a family, they are typically promised that they will attend school. Few actually do. Instead, they walk the family's biological children to school, carrying their books, and then they return home to perform work that should be reserved for people far older and stronger than they, serving as the engines of families that don't consider them their own. When the day is over, they curl up on the cement floor, desperate for sleep. Sometimes they imagine where their family is, what life might be like back home. Sometimes they dream of a day when they'll no longer be restavek, when they can own a shop or become a doctor. Sometimes they imagine what it might be like to be considered fully human. Eventually, they stop. There is little time for entertaining fantasies. Instead they must sleep. To survive another day, they'll need as much rest as they can get. Restavek Freedom is an organization comprised of child advocates, community leaders, reporters, volunteers, students and parents. Most of all, it is a group of people that love Haiti. 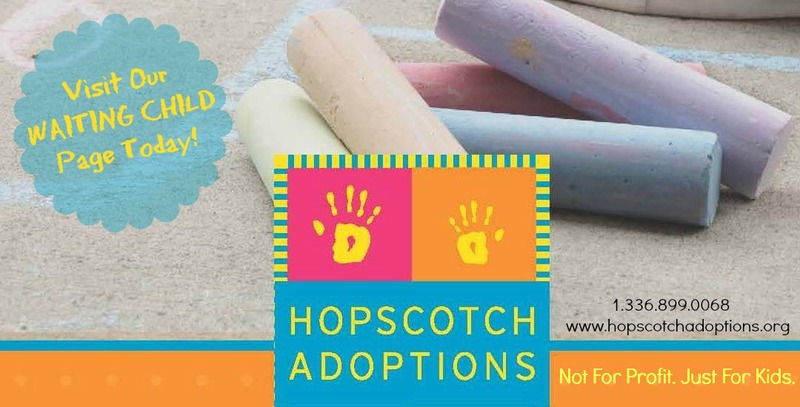 It was founded in 2007 and currently they have over 30 employees in two main locations in Haiti, Port-au-Prince and Port Salut as well as a small support staff in the United States. Together they work on influencing policy, economics and cultural norms, working toward a restavek-free tomorrow, as well as carry a passionate commitment to building a better life for children living in restavek. These child advocates make sure the children know that they are more than the sum of their tasks and their wounds. They are more than restavek. They are human. Restavek Freedom operate a home in Port-au-Prince to help children transition away from the life of a restavek. For girls in the most abusive of circumstances, the home is a refuge, a place where they can rebuild their lives. In the home they learn, they play, and they build skills for the future. More than anything, they experience a sense of love, of family. Over time, Restavek Freedom helps them transition into a more stable setting - whether that means living with their parents, with a foster family, or if they're old enough, on their own. 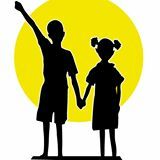 There are many ways to get involved with Restavek Freedom: sponsor a child, make a general donation, purchase a book from one of the Restavek Freedom Writer, fundraise, or visit the Freedom Store to specifically target the individual needs of the children within the Restavek Freedom program. Each small act on your part allows Restavek Freedom to impact more people's lives, and ultimately have a big impact on Haiti. To learn more about the Restavek Freedom visit their website and Facebook page.